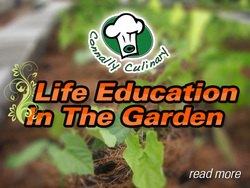 THE GARDEN - COOKING WITH CONNALLY - Where You Become The Chef! John B. Connally Culinary Arts Department was selected as a "Green Tables" Initiative school to further the linkages between urban and rural farms and gardens to school, restaurant and kitchen tables in the Les Dames d' Escoffier Austin chapter communities. 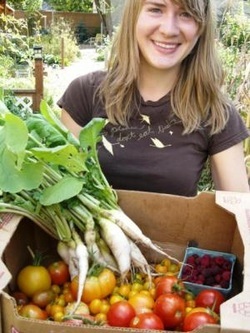 See our Garden Crash and Tree Lighting! School teaching gardens are stimulating, inviting and beautiful spaces that encourage a child's learning across subject matters, and our garden will be a cross curriculum outdoor classroom. This unique outdoor classroom will be designed to provide hands-on, experiential learning opportunities for our students to apply classroom knowledge. 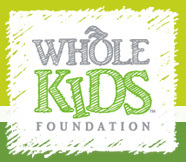 This real-world learning can be integrated into all academic subject areas and has been shown to benefit children by boosting academic achievement, nurturing healthy lifestyles, cultivating life skills and promoting environmental stewardship. Thank you Green Corn Project volunteers for choosing our school to come and do a Fall garden DIG IN. The students learned so much from you and are excited about watching their work grow! This year our students will spend two month once a week working on the Urban Roots Farm and learning techniques to take back to their school to make our Pfarm at John B. Connally High School better and have a larger impact our our school and community.